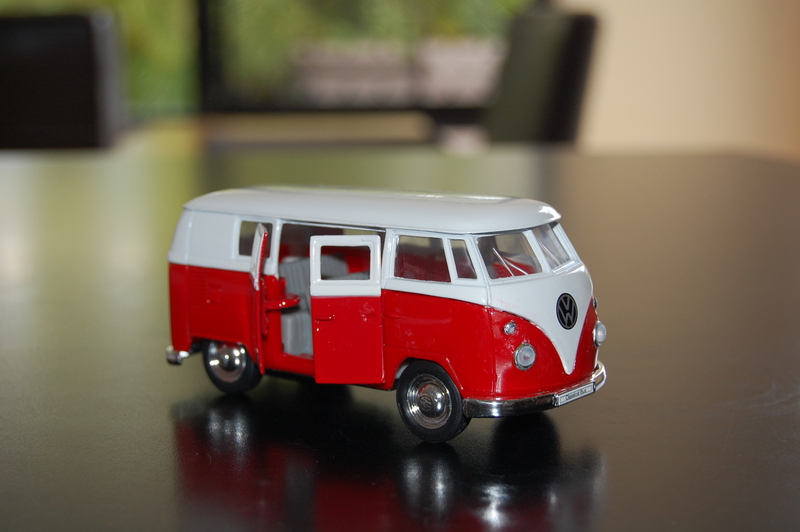 Paul got this model kombi van from Jean & John, very useful to practise on before he started the real thing. Although actually, he just had to stick on the lights and add the wheels so we can safely say he’s progressed! I love this book Alice bought us for Christmas. It’s full of gorgeous campfire feasts, blustery cliff-top walks and tips on how to forage for your own funghi. It remains to be seen whether I could ever summon up enough… well, camping spirit to produce a lemon and herb risotto with cubed gorgonzola in our little kitchen – can you imagine stirring a pan for 20 minutes kneeling down?? – and I must confess, I’ve already ensured we’ll always have enough storage space for a ready supply of nice clean, supermarket-foraged mushrooms. But it’s a fantastic book. 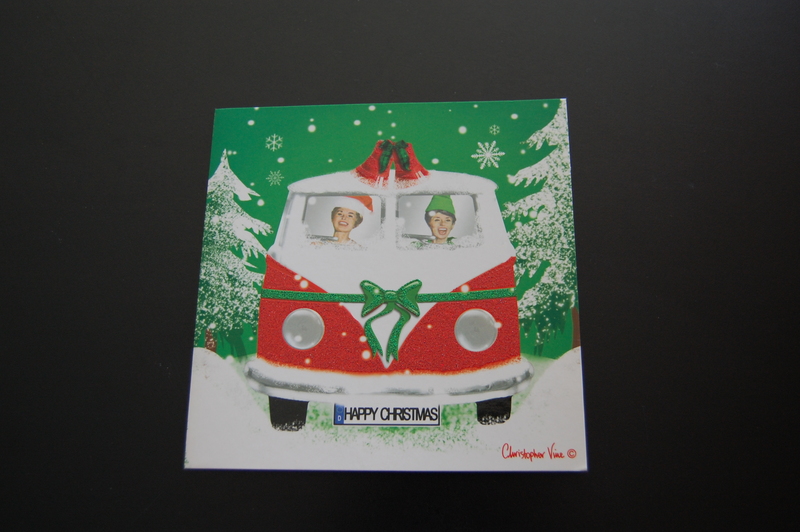 I really like this Christmas card. Obviously I’m the one on the right, not sure who the other lady is. Paul bought this one. 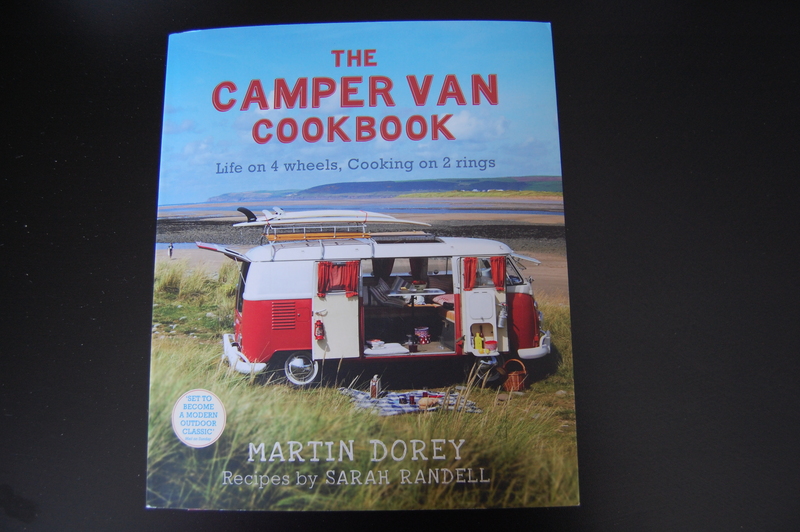 He clearly has very unrealistic expectations high hopes for our future campervan exploits. 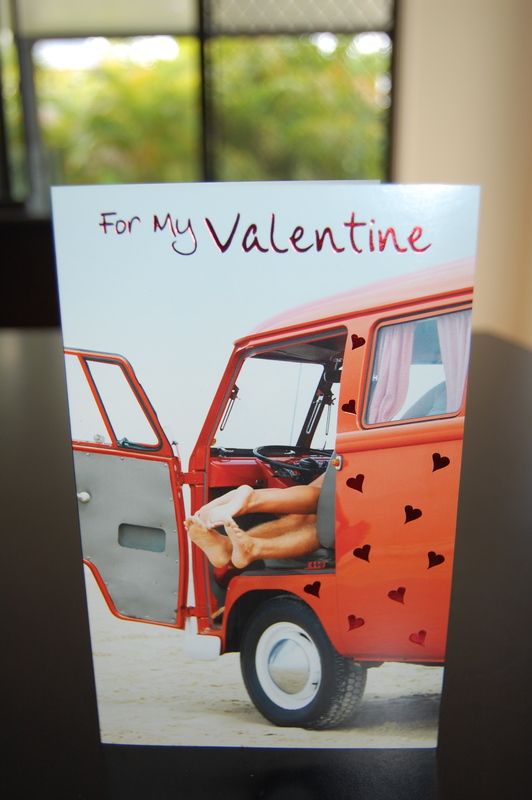 This entry was posted in Campervan life and tagged campervan cards, campervan collectors, Campervan Cookbook, campervan gifts, campervan hobby, model kombi van, unlikely scenarios by Rach. Bookmark the permalink. Not sure if I will borrow it, if it comes with a red work top!! Do you think it may be complete for my Xmas holidays? Just been looking at boat supplies. Have you tried them for water tanks. Try this link. Neil – I keep requesting a critical path chart from Paul with an expected end date so I can book some trips, apparently it’s ‘all in his head’! I think the last photo is the kind of camping trip I would be thinking of too. Great minds think alike!! Rich – I couldn’t possibly comment. Alice – people are going to wonder what on earth we’re competing at!! It’s about birthday cards, and who can buy the best one (okay, the rudest one). I’ve no idea how it came about – was it Mum’s idea?